I am trying to convert a point file, currently displayed into a contour file. The methods that I have tried, all expect a raster file as an input, but my source file is a vector file points, i.e. Not what I was expecting, I was hoping for a blob that represented the deep red in the first image and perhaps some other bands. There must be a better way of doing this unless I have missed something important! Any sugggestions? Browse other questions tagged qgis-3 heat-map raster-conversion or ask your own question. 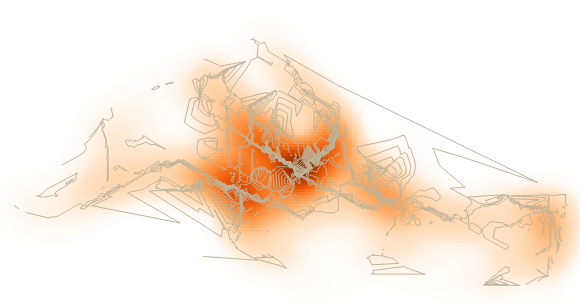 Adding contour line to heatmap in QGIS?